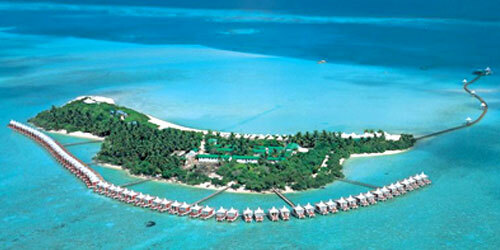 The Hakuraa Huraa is one of Maldives’ 1,190 pristine coral islands in the Indian Ocean. Hakuraa Huraa, which translates into “reef above water,” is Green Globe Certified because it meets sustainable tourism requirements and maintains the community’s cultural heritage and economic environment. This romantic getaway was constructed to provide maximum pleasure to guests and minimal impact on the planet. It’s a treat that can be enjoyed in either the water bungalows (70 are built on the water) or in any of the 10 beach bungalows. Aside from soaking up the crystal-blue view, island activities include snorkeling, sunset and night fishing and an Adam and Eve excursion to a secluded tropical island. Romance on the river aboard the Amadeus Cruise Line. This unique cruise offers various trips including a 15-day voyage through Europe. Guests can journey to cities such as Amsterdam and Budapest and through lush landscapes around the Rhine and the Altmühltal Valley. The luxury of a five-star floating hotel was given the Green Globe seal of approval for its energy and water conservation, which includes offering guests ways to donate to a third-party organization that specializes in offsetting the negative carbon effects created while traveling. Couples who enjoy the outdoors can cozy up at the Green Mountain Yurt. This camp-style getaway in Alpujarras, Spain, is nestled between the city of Granada and the Mediterranean. Guests stay in handcrafted yurts that overlook the Sierra Nevada National Park. Each yurt is equipped with an outdoor covered kitchen, solar-power hot water and lighting, bathroom and eco-friendly shower. If you’re green enough, you may opt to go au-natural for the mountain stream bathing, which is within walking distance. The W Paris-Opéra, which opened on Valentine’s Day 2012, holds the Green Key stamp of approval due to its mission to conserve water, energy and waste. It’s a bonus that the luxury hotel is located in the romance capital of the world. W Paris-Opéra is surrounded by high-end retail shops and cafes. The historic Place Vendôme and the serene Tuileries Gardens are nearby too. When Lynn Gallimore built Sinya on Lone Man Creek, she wanted to recreate an African safari in her back yard of Wimberly, Texas. The canvas-tent-topped structure is a romantic getaway for two that’s intimately connected to the sun and stars – yet featuring all the comforts of a luxury suite. Just 45 minutes outside of Austin, Lone Man Creek sits on five acres. Its amenities include a claw-footed bathtub and shower, a king-sized bed with goose-down pillows, a feather-cushioned sofa, a hot and cold shower outside, a hot tub and a small kitchen. Sinya is a privately owned guest home that accommodates one party at a time. The Bardessono hotel is more than green, its deep green. The LEED Platinum Certified hotel is located 68 miles north of San Francisco and is layered with eco-chic luxury. Structurally, the venue was designed with environmental technologies that ensure a carbon footprint of zero. Salvaged woods are used throughout the venue. The hotel implements organic linens and non-toxic cleaning products daily. Solar panels have been installed on the roof to offset half of the hotel’s energy demand. Guests are also provided bicycles free of charge to tour the town of Yountville’s. The hotel is surrounded by 450-plus wineries and top-notch restaurants, which include the famous Masaharu Morimoto establishment. Bardessono, 6526 Yount St., Yountville, CA 94599; 707- 204 6000, www.bardessono.com.